When she and her friends play around with a Ouija board, Tori learns firsthand why the living have no business communing with the dead. Something sinister is roused in the process, and her life begins to spiral into madness soon thereafter. She suffers terrible nightmares, hallucinations, and feels as though she's being watched at all hours of the day. And that's only the beginning. If the spirit has its way, it'll consume her completely. It begins with a freak snowstorm in May. Hit hardest is the rural town of Colby, Connecticut. Schools and businesses are closed, powerlines are down, and police detective Jack Glazier has found a body in the snow. It appears to be the victim of a bizarre ritual murder. It won't be the last. As the snow piles up, so do the sacrifices. Cut off from the rest of the world, Glazier teams up with an occult crime specialist to uncover a secret society hiding in their midst. The gods they worship are unthinkable. The powers they summon are unstoppable. A terrible deed from the past threatens to overtake the life of a young man only recently rescued from the claws of death… In one fateful moment, in the split second it takes to move from normalcy to tragedy, nearly everything that Alex Lonsdale holds dear was ripped from him. But when a doctor is able to bring him back from the very brink of death, he is considered a medical miracle - those who love him rejoice. But when they look closely into Alex’s eyes, there is something missing there. Something evil lives inside Jen's crawlspace. And it's trying to get out. Haunted by childhood demons, Evan returns to Storberry to find darkness threatens the town. When a strange storm cripples the town's communication systems, a hideous monster begins stalking the night. Two teenagers align with Evan and a tiny group of survivors, but not everyone is who they seem. Can they survive until sunrise? Rachel Brackett arrives in Sullivan, Montana with simple goals: relocate, settle an estate, and manage her own antique store. Her parents and friends back home called it running away. That's just fine with her. 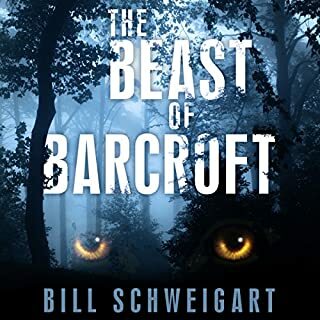 Rachel's curiosity leads her into the forest, and she finds creatures who know more about her ominous heritage than she does. The creatures only exist in nightmares - grotesque mutants and shapeshifters. A cold dark night. A cemetery full of secrets. And murderous ghosts on the loose. After more than a decade, Connor Mann is forced out of the psychiatric ward he once called home. He finds himself back in the town where he grew up, with a distant father, and a tragedy all too painful to bear. His attempt to resume a normal life soon comes under attack when he encounters restless spirits lurking in the basement. And someone - or something - terribly vicious awaits him with open arms in nearby Pine Grove Cemetery. Emma has been hiding for a year. Hiding from an abusive ex who broke more than her bones. Now it is time to start again and she has been left an old house in which to make a new beginning. Brynlee house is remote, old, and kinda creepy, but she knows that this is the second chance she needs. That is until things start to go wrong. The sound of a child laughing, or screaming haunts her dreams. Strange sounds, smells, and marks on the wall make her doubt her own sanity and what is it with the black cat? It’s the 366th day after her fiancé’s death. Michael used to like putting things off for “a year and a day” - so tonight’s the night. Sloane will do anything to make contact with him before the clock strikes midnight. When she gets a call to check out a home in Waukesha, Wisconsin, it’s the last place she thinks Michael would contact her. 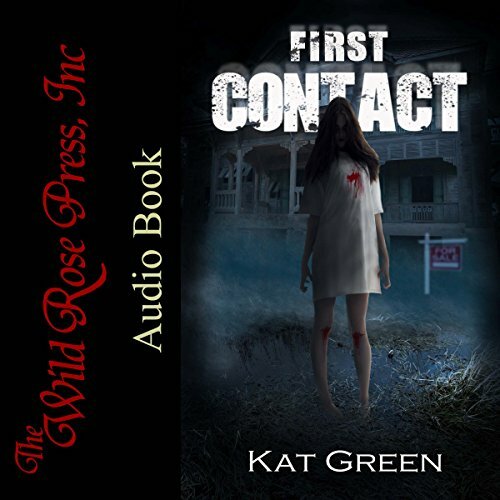 First Contact by Kat Green pulled me in from the very beginning. 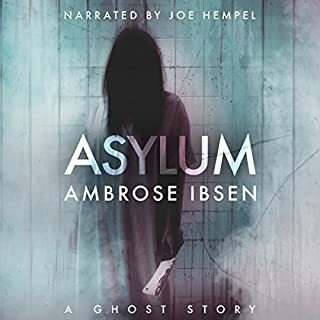 I was so surprised by the twists in this haunted listen! Without giving away spoilers, I never saw the ending with its twist coming. The imagery in this book is so well done. Kate Tyler performed this book spectacularly. She brought the characters to life. I will definitely listen to more books by this author and narrator. This is a standalone listen and start of a new series. This was a really good,suspenseful book.It was well written and I liked the characters. 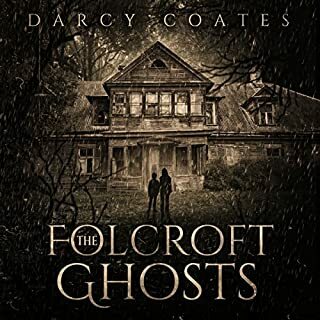 Kate Tyler was the perfect narrator.I was given this book by the narrator,author or publisher free for an honest review. This is the first book from Kat Green that I have read! It was PERFECT! I just recently joined the Romance Package and this is one of the stories I chose. It had just the right amount of Romance along with Mystery and Suspend and a dash of Thrill! The Narrator was good. Very intriguing story-line! I can't wait for the next book! This was a great blending of mystery and horror. I thought the story was well put together and very engaging. 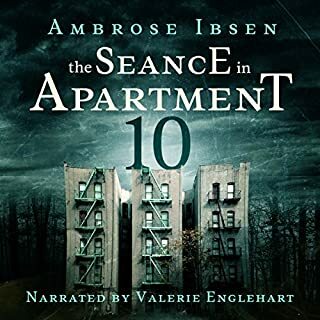 Kate Tyler's narration was fantastic and really brought the book to life. This book is definitely worth checking out. Wow! I was hooked on this story and the twist was surprising! I can't wait for book 2! Highly recommend! Sloane is on a mission to make contact with her dead fiancé before he crosses over. Unless he already has, because today is the last day she thinks she has to find out. But their is only one issue she’s never seen a ghost before. Her mentor has , but really neither are sure she ever will, until she walks in a house full of ghosts and starts seeing them all. Things get a bit crazy from here on out. Realizing that the current owner of the house could have possible been a serial killer really puts the story in a new light. The story is so edge of your seat waiting for what happens next I could not shut it off. I ended up staying up all night to finish and it’s one of those stories that sticks with you. You kinda see it coming but there are still some surprises. I still may need water! Fantastic job on the narration. This has such a freaky twist! I loved it!!! 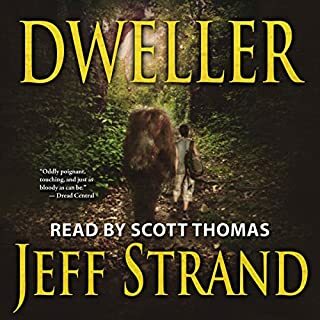 Where does First Contact rank among all the audiobooks you’ve listened to so far? our heroine is hoping to see her lost love one more time in fact 1 more time a year and day. She is has been searching haunted houses and even makes a business of finding haunted houses for people to purchase. Well she walks in with more then she can bargain for when yes, she sees her boyfriend one more time, but also hears woman crying out for thirst from the basement but no one is there at the house she is staying at. And it gets worse and worse from there. You have to read this book. I couldn't stop listening it to. It was one of the better books I've read this year. And boy wait til the twist. Your like what???? I’d love to first talk about the narrator Kat Tyler! She was really awesome with this story. Everything felt right when she spoke. She had a clear voice and was good with all the emotions that needed to be evoked. Such as happy, love, and fear during the supernatural creepy bits. I loved the life she gave these characters and especially the villain! I give the audio a 5/5! 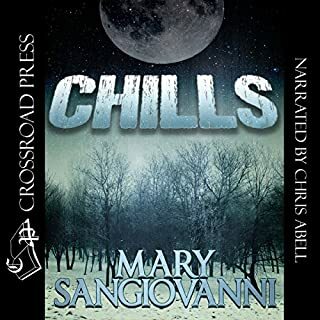 This book is such a great cross of genres, paranormal, a cozy mystery and romance, it has a little of everything! Sloane is a paranormal realtor who is in search of her dead fiance. She is determined to connect with him one last time by day 366 after his death. As this approaches, she has one more house that she is hoping to find him in, but the situation she does find is more than she bargains for! Jonah, her best friend helps her out with his detective abilities, but not before she finds herself in too deep! Ghosts, a mass murderer and a crazy old man keep this story fun and interesting. It's total entertainment with the romance, the graphic ghost scenes and the insane characters keeping you on your toes. Kate Tyler does a great job performing this story. I really enjoyed her narration, she has a good pace and a vast variety of voices. I look forward to more from her.